Radio 1 & Radio 2 appear to favour Brexit campaign!! The BBC is to re-define its national music output on Radio 1 and Radio 2 to focus on emerging home grown talent rather than imported music from abroad. At the moment half of the top tier of the Radio 1 playlist ( i.e. the songs it plays the most ) is made up of overseas artists. Current and regular Radio 1 acts from the North American region ( US & Canada ) include Taylor Swift, Justin Bieber, The Weeknd and Beyoncé. Favourite UK acts on the Radio 1 playlist includes Ed Sheeran, Ellie Goulding, Skepta and Calvin Harris. The BBC announced it would have more new homegrown talent on Radio 1 and Radio 2 as part of a robust defence of the distinctiveness of the two stations published last week, saying around 90% of their music output was not played on any other station. A review document said the BBC would “ensure that Radio 1 and Radio 2 have a strong commitment to new and UK music so that a strong proportion of the new music in daytime on Radio 1 and Radio 2 should be from the UK”. Radio 1’s 15-strong ‘A list’ currently includes six American and six British acts, two from Australia and one from Canada. Radio 2 is more homegrown, with more than half of its ‘A list’ acts from the UK. Radio 1 has more than 10 million listeners but has recently seen its audience fall as it attempts to reach a younger audience, with Nick Grimshaw replacing Chris Moyles in the breakfast slot. Radio 2 remains the UK’s biggest radio station by some distance, with an average of 15.5 million listeners a week. 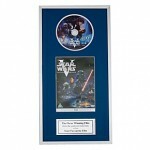 Framed vinyl records and framed CDs with a personalised plaque, make unique presents or original gifts for a special celebration / special occasion i.e. a Wedding ( Wedding First Dance Song ), an Engagement Party ( Our Song ), a House Warming Party ( New Home ), a 21st, 30th, 40th, 50th, 60th Birthday ( How about the No1 song on the day of birth? ), a Silver, Ruby or Golden Wedding Anniversary, Father’s or Mother’s Day or Valentine’s Day!! I was shocked and saddened to hear of the passing of broadcaster and bon viveur Terry Wogan. My immediate thoughts, which are always the most instinctive and therefore accurate, are that Terry Wogan was a lovely, amiable and affable chap. He was everybody’s favourite uncle; a member of your family. Terry Wogan possessed a bonhomie that masked a rapier wit – mischievous and cheeky, irreverent and rebellious but never cruel or callous. He was gentle: a gentleman in the true, pure sense of the word. 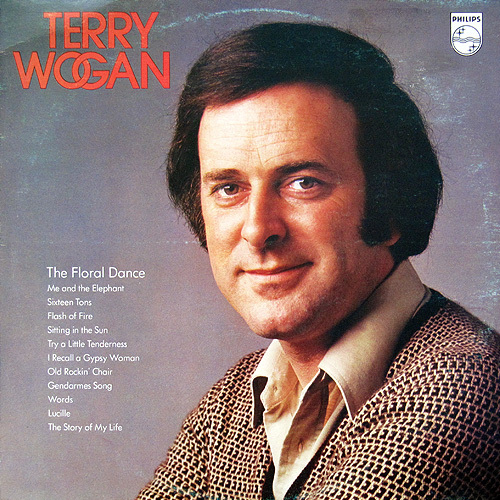 On TV Terry Wogan mercilessly teased his Wogan chat show guests, Blankety Blank panellists and Eurovision contestants alike but got away with it because of his self deprecating nature and humour. On radio he gently mocked his listeners ( affectionately nicknamed “TOGGS” – Terry’s Old Geezers & Gals ), but most of all he sent himself up. Terry Wogan was the consummate broadcaster because behind that deceptively languid style and delivery was a bright intellect, knowledge and mastery of language. A wordsmith of the highest order, fuelled and fired by a vivid, technicolour imagination. I was lucky enough to attend a BBC1 Wogan chat show in 1988 and spent time with him in the “Green Room” afterwards as a guest of his TV producer Peter Estall. Terry simply came across as a genuine, self-effacing person with humility and no ego. That was the essence of the man. Terry Wogan was the Doyenne of Disc Jockeys. He waxed lyrical with warmth. We will all miss him dreadfully and radio and television will never be quite the same ever again. 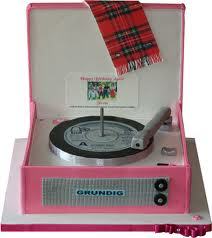 ORDER NOW…….. www.myfirstrecord.co.uk/ & 10% of each sale will be donated to Cancer Research. 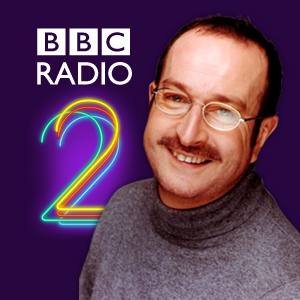 Has Radio 2’s Steve Wright gone past his sell by date? 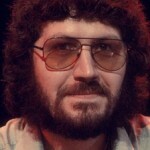 As the Record Press author was preparing to write this blog article, I was pleasantly surprised to find that I wasn’t alone in thinking that Radio 2’s Steve Wright gone past his sell by date……..
Don’t get me wrong, I have been a big fan of Steve Wright for many years since I first heard him on Radio Luxembourg in 1979. Within months he had moved to Radio 1 and I continued to be throughly entertained by his creative, inventive and entertaining broadcasting. Steve Wright took the best of Kenny Everett and fused it with the best of American radio broadcasting, culminating in the institution that his Radio 1 Afternoon Show became, ably supported by his cast of characters and idiots. But alas I have found myself becoming more and more irritated by Steve Wright. His style of broadcasting is tired, jaded and trite; constantly recycling the same old cliched banter from the 1980s, completely devoid of new ideas. Surely it is time that Steve Wright was put out to graze on the lawns outside the Radio 2 Retirement Home?! As I prepared for this blog article, I discovered I wasn’t alone and my sentiments are being echoed on Facebook. Jonathan Ross recently covered for Steve Wright in the Afternoon on Radio 2, and was a breath of fresh air in the stale corridors of Broadcasting House. Infact he seems to have got a much better reception than last time he was on Radio 2. The Record Press author urges Bob Shennan, Radio 2 Programme Controller, to bite the bullet and bring some fresh blood into the daytime weekday schedule. I know Steve Wright’s RAJAR listening figures are good, but I would argue that the Radio 2 Afternoon Show listening figures would not drop under the stewardship of a new host. Everybody said Terry Wogan was irreplaceable as Radio 2 Breakfast Show host……..Chris Evans, his replacement in 2010, quickly increased the number of listeners. Jonathan Ross’ Saturday morning show on Radio 2, before “Sachgate” brought his Radio 2 career to an end, was some of the best radio I have ever heard. 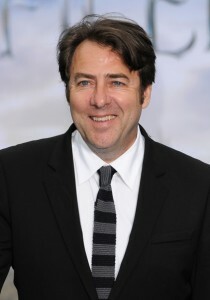 Time to give Jonathan Ross a regular slot on Radio 2 and the Afternoon Show would be a good fit. New music will be released every Friday from this summer, meaning a change of time slot for BBC Radio 1’s Official Chart Show currently on a Sunday. The Official Chart will move to Fridays from 10 July. The Official Chart with Greg James will kick off the weekend at 16:00 BST every Friday on BBC Radio 1, as part of his drivetime show. The Official Chart Show has run every week on a Sunday since 1st October 1967, with the exception of 31 August 1997, when it was replaced on BBC Radio 1 by news coverage of the death of the Diana, Princess Of Wales. The music industry has decided to change the international release date for new music to Fridays at 00:01, following consultation with indie and major labels, artist representative organisations and music retailers. Currently in the UK, singles are currently issued on Sundays, with albums released on Mondays. The Official Chart Show being announced and played on a Sunday is an institution, along with its presenters which include radio legends like Alan Freeman, Tom Browne, Simon Bates, Tony Blackburn, Bruno Brooks, Mark Goodier and Reggie Yates. From the days of the vinyl single in the 1960s, The Official Chart Show Rundown has always been on a Sunday. What next? Will “Songs of Praise” be moved to a Friday lunchtime? 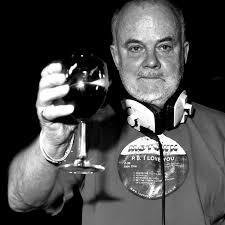 Let us know in the Reply Box below whether you want The Official Chart Show Rundown to remain on a Sunday…..
BBC Radio 6 Music is to broadcast a special radio show to mark what would have been John Peel’s 75th birthday. To celebrate this and to mark the 10th Anniversary of his passing, BBC Radio 6 Music will broadcast the programme on the 31st August, honouring the former Radio 1 presenter. “John Peel Remembered” will feature contributions from 6 Music presenters from Steve Lamacq, Lauren Laverne, Annie Nightingale and Mary Anne Hobbs, with a mixture of Peel sessions plus extracts from his original radio shows. The show will air from 1pm till 2pm on 31st August 2014. The great institution that is the BBC has richly honoured and paid tribute to the institution that was John Peel in the years since his death, including naming Egton Wing in Broadcasting House after him, naming a lecture and award after him, and holding John Peel Days on BBC Radio 1. And of course Michael and Emily Eavis named the John Peel stage in his memory at the Glastonbury Festival, where John Peel was a timeless fixture and fitting in his mud splattered wellies!! Will ex Radio1 DJ Chris Moyles go from tweet beggar to street beggar? Former BBC Radio 1 breakfast show presenter Chris Moyles appears to have fallen on hard times, recently begging for work on Twitter!! Chris Moyles recently approached film director JJ Abrams via Twitter, soliciting for a role in the next Star Wars film and also approached Sir Paul McCartney to ascertain whether he could be his stage compere. Chris Moyles left the breakfast show on BBC Radio 1 as the longest serving presenter to date, having had an illustrious radio career. He was handsomely rewarded with a salary of £500.000 per annum for his services, but appears to have become persona non grata in the media world since…. Well it seems that although the fun hasn’t run out, the money has!! Maybe Chris Moyles should think about becoming a real life Arthur Daley, second hand car salesman in the 1980s TV series “Minder”. He’s definitely got the right patter and cheeky chap persona to be a second hand car salesman!! Let’s just hope Chris Moyles does not go from tweet beggar to street beggar, although he’s already half way there with his scruffy, unkempt, hirsute appearance…….. 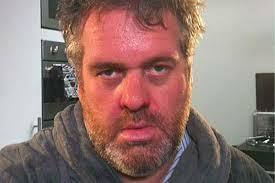 Which career do you think should Chris Moyles choose next? Let us know in the Reply Box below. The radio legend that is Tony Blackburn will be honoured with The Radio Academy’s lifetime achievement award for an unprecedented second time, to mark his 50 years in broadcasting. Tony Blackburn was originally given the Radio Academy Gold Award in 1989 to mark his 25th radio anniversary in radio, but the Radio Academy feel that the longevity of Tony Blackburn’s career in his 50th Anniversary year should be recognised. 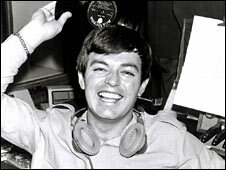 Tony Blackburn’s career has spanned six decades, having begun on pirate radio station Radio Caroline in August 1964, before moving to Radio 1, famously presiding over the station’s launch in September 1967, spinning the first record “Flowers in the Rain” by the Move. 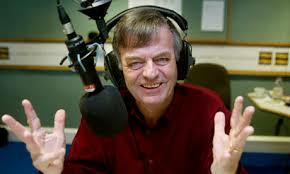 After 17 years on Radio 1, Tony Blackburn moved on, presenting BBC London’s weekday mid-morning show before becoming one of the presenters on the newly launched Capital Gold. Today Tony Blackburn is busier than ever, presenting Radio 2’s Pick of the Pops every Saturday afternoon, and shows on BBC London 94.9, BBC Radio Berkshire, the Magic network, BBC3CR and KMFM. He will be handed the award at the 32nd Radio Academy Awards at London’s Grosvenor House Hotel on 12 May. 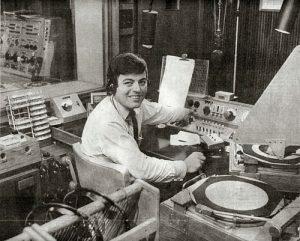 The Record Press author’s introduction to Tony Blackburn was in 1974, when he presented the mid-morning show on Radio 1, having been replaced on the Breakfast Show by Noel Edmonds the previous year. I quickly took to him, with his bonhomie, cheesy jokes and canine companion, Arnold. Today I listen to him regularly on Radio 2’s Pick of the Pops. Arnold may have long gone, but the trademark cheesy daft jokes and puns are still there and we love him for it. His humour is always self-deprecating and at his own expense which demonstrates the modesty of the man!! The key to Tony Blackburn’s longevity and timeless success is that he is a passionate broadcaster and lover of music, especially soul, and this comes across every time he sits in front of a microphone. Tony Blackburn is universally loved because fundamentally he is a decent man of great integrity and sincerity, and that’s why he has survived for 50 years in the fickle world of radio and show business. God Bless you Tony Blackburn. Framed vinyl records, framed CDs and framed DVDs with a personalised plaque, make unique presents or original gifts for a special celebration / special occasion ie a Wedding ( Wedding First Dance Song ), an Engagement Party ( Our Song ), a House Warming Party ( New Home ), a 21st, 30th, 40th, 50th, 60th Birthday ( How about the No1 song on the day of birth? ), a Silver, Ruby or Golden Wedding Anniversary, Father’s or Mother’s Day or Valentine’s Day!! THE PERFECT PERSONALISED PRESENT!! 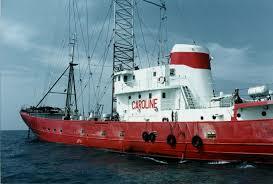 It’s Radio Caroline’s 50th anniversary!! Radio Caroline was launched and set sail on its incredible journey as an illegal “Pirate Radio Station” at midday on Easter Sunday 28th March 1964 and helped mould and shape not only UK radio, but also the pop and rock music industry. In the multi-channel world of 2014, it is hard to conceive a world where UK citizens did not have access to pop music, but that was the reality in early 1964!! Up until Easter Sunday in 1964, the youth in the UK could only access pop music by night courtesy of Radio Luxembourg, with its fading signal that came and went. 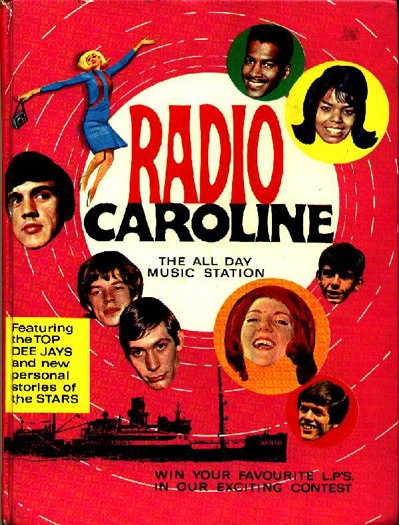 Once the youth of the day had access to the pop music that had been withheld from them, the effect was seismic, putting Radio Caroline in the vanguard of the 1960′s social and cultural revolution. The first track played on Radio Caroline was the Rolling Stones “Not Fade Away”, and unlike Radio Luxembourg’s erratic signal, Radio Caroline has never faded in or out or indeed away!! Radio Caroline played a crucial and fundamental role in the revolution of the British music industry and made many of the great pop and rock names: The Who, The Hollies, Spencer Davis Group, Cream, Led Zeppelin, Eric Clapton would never have had the exposure they needed to survive and lay the foundation for the music of today. However the life of the “pirate radio station” came to an abrupt halt in August 1967. As the idealised freedom of spirit of the hippie “Summer of Love” gave way to the shortening days of autumn, so the epitome of this free spirit, the pirate radio stations went off air and metaphorically sank ( to be replaced by BBC Radio 1 )!!. The 14th August 1967 brought an end to offshore radio with The Marine Offences Act, with one notable exception…..Radio Caroline. The station which started it all carried on as a lone flagship against the odds. Radio 1 will be 50 in September 2017 and I’m sure the red carpet will be laid down in style at Broadcasting House for that eminent occasion, as it will be for the Doctor Who 50th Anniversary celebrations later this year. 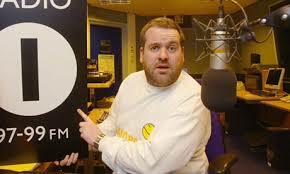 Just as we all have a favourite Doctor Who, so we all have a favourite Radio1 Breakfast Show DJ. I’ll go first!! 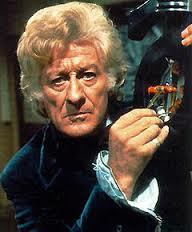 My favourite Doctor Who was Jon Pertwee and my favourite Radio 1 Breakfast Show presenter was Noel Edmonds. It is no coincidence that Jon Pertwee ( Doctor Who from 1970-1974 ) and Noel Edmonds ( Radio 1 Breakfast Show DJ from 1973-1978 ) were more or less contemporaries of one another. Whether it be Doctor Who or Disc Jockey, the ones we remember with most affection are normally the first we watched or listened to. They were an instrumental part of our formative years. And although I had an affection for Tom Baker ( Doctor Who from 1974-1981 ) and Mike Read (Radio 1 Breakfast Show host from 1981-1984 ), they didn’t have quite the same impact and influence on me as did Jon Pertwee and Noel Edmonds. I loved Jon Pertwee’s suave and debonair Doctor Who, who was always uber cool, even when driving around in his antiquated vintage car named Bessie. 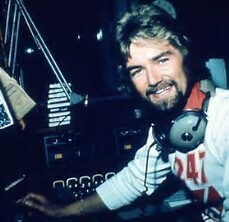 Likewise Noel Edmonds was a similarly urbane character on the Radio 1 Breakfast Show. Like Jon Pertwee’s Doctor Who, Noel Edmonds was also given to moments of zany eccentricity, in the form of his conversations with Flynn the Milkman or practical jokes on unsuspecting members of the public via his on air “funny phone calls”. In truth both Jon Pertwee and Noel Edmonds occupied preposterous and ludicrous worlds and they both created a fantastic vehicle for escapism. And that’s what TV drama and radio breakfast shows are all about. They should provide the viewer and the listener with a wonderful outlet for escapism and fantasy!! So who was your favourite Radio1 Breakfast Show presenter / DJ? Was it Tony Blackburn, Dave Lee Travis ( aka The Hairy Cornflake ), Mike Read, Mike Smith or possibly one of the ladies, Sara Cox or Zoe Ball? Let us know in the Reply Box below. It’s the 40th anniversary of UK commercial radio but multitude spells mediocrity. With hundreds of radio stations now broadcasting across the British Isles, it is difficult to imagine how little choice there was for UK radio listeners 40 years ago. BBC Radio nationally and locally had a domestic monopoly with no legal commercial competition at all in the early 1970s. However the 8th October 1973 saw the launch of the first Independent Local Radio station – LBC in London. Capital Radio in London arrived shortly afterwards and BRMB in Birmingham and Piccadilly Radio in Manchester soon followed. Within a decade, over 40 stations were on air. Commercial radio in the mid-1970s through to the end of the 1980s was really rather good. It mirrored Radio1 with versatile playlists and personality disc jockeys. My local commercial radio station in Nottingham, Radio Trent opened in 1975, with a strong line-up of disc jockeys including Jon Peters hosting the breakfast show and a young star by the name of Dale Winton, hosting the mid-morning show. These presenters had to be on their game as they were up against the very best on an established Radio1 – namely Noel Edmonds on the Radio1 breakfast show and Tony Blackburn on the Radio1 morning show!! Like many, I fell out of love with commercial radio in the 1990s. Quantity does not mean quality. As more and more commercial radio stations have taken to the airwaves, the quality has diminished. Inventive, creative output on radio stations carrying advertisements is long gone. Commercial radio stations are all homogenised and standardised, in the same way that high streets in the UK are. More is less seemingly!! On the surface we have greater choice through larger numbers of commercial radio stations, but individualism and idiosyncrasy has been sacrificed for corporatism. The corporate genie is out of the commercial radio station bottle and that process can never be reversed. RIP Commercial Radio!! Do you remember when your local commercial radio station was truly independent and individualistic? If so tell us about your favourite DJs and presenters in the 1970s and 1980s in the Reply Box below. This Saturday 8th June, Tony Blackburn presents a special all vinyl edition of Pick of the Pops on Radio 2 as he replays the hits from the charts of 1966 and 1976. There will no CDs or digital downloads, just vinyl records as Tony Blackburn and listeners re-live the chart hits from June in these two featured years. Whether we will be able to differentiate between the vinyl version and the the normal digital recordings of these tracks that we hear on the radio, remains to be heard. The Recordpress Author is a Champion of the Vinyl Record and as such welcomes this initiative by Radio 2 and Pick of the Pops producer Phil Swern and presenter Tony Blackburn. Infact I look forward to hearing the odd crackle and hiss with the pop!! Tony Blackburn will be cueing up vinyl records on his turntables from the likes of Tom Jones, Manfred Mann, The Small Faces and The Rolling Stones from the June 1966 chart and Abba, Gladys Knight & The Pips, Peter Frampton and Dolly Parton from the chart in the summer of 1976. Of course both years were memorable – the first year being the Golden Summer England won the World Cup and the second year being that of the Golden Summer of the Heatwave. Tony Blackburn playing only vinyl recordings on Pick of the Pops will merely add to the authenticity of these retro chart rundowns. It is a testimony to the enduring love that still exists for the vinyl record that Tony Blackburn and his team are doing this. Vinyl will simply not lie down and die quietly. Vinyl records just keep on spinning and that’s great to see and hear!! Coldplay came in at No1 in a BBC Radio 2 poll to find listeners’ favourite album of all time. 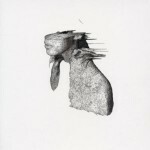 Coldplay’s second album “A Rush Of Blood To The Head” came top of the list, with Keane’s “Hopes And Fears” in second place and Duran Duran’s “Rio” in third place. Perennial favourites Pink Floyd’s “Dark Side Of The Moon” was in fourth place with The Beatles’ “Sgt Pepper’s Lonely Hearts Club Band” surprisingly in eighth place. Although not a scientific survey, the results were nevertheless interesting with an eclectic mix of albums from the 1970s and 1980s in particular, which is not altogether surprising considering the age demographic of Radio 2’s listeners. 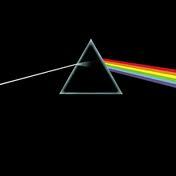 Which are your favourite albums and album covers? Let us know in the Reply Box below. Do you agree with this Top 5 Best Music Based Radio Shows Of All Time? This year sees a new category at the Sony Radio Awards and the winner of the inaugural Sony Golden Headphones Award will be decided by public vote, rather than by the radio industry. Any radio host or presenter over the age of 18 who has a regular slot on a UK-based radio programme, professional or amateur, can register their name to take part. The winner will be revealed at the Sony Radio Academy Awards on 13th May. Voting opens on 15th April and will run until 10th May, with a leaderboard featuring the Top 20 contenders updated in real time. Sony Radio Awards chairman John Myers explained: “It is the public’s opportunity to vote for their favourite presenter and is open to any presenter on any station in the UK”. Who would be your choice? Let us know in the Reply Box below. Also tell us which is your favourite radio presenter / DJ of all time and also your favourite music based radio show of all time? 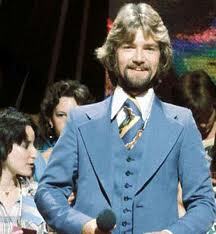 1) Noel Edmonds Radio1 Breakfast Show ( 1973 -1978 ). Zany fun, involving Flynn the Milkman, Silly Phone Calls, Spoofs plus Garden Gnome, Welly Sticker & Back To Front Balaclavas Giveaways. 2) Jonathan Ross Radio2 Saturday Morning Show ( 1999 – 2010 ). Jonathan Ross at his creative and comedic best, with brilliant streams of consciousness and great banter and repartee with his sidekick Andy. 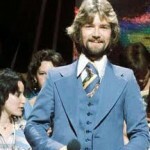 3) Noel Edmonds Radio1 Sunday Morning Show ( 1978 – 1983 ). Noel Edmonds at his brilliant best creating a wacky Sunday morning show broadcasting in fictitious locations – first of all at a cosy cottage called “Dingley Dell” and then when that was demolished to make way for a bypass, moving to Perkins Grange, the fictitious home of Radio4 presenter Brian Perkins who co-hosted the programme. 4) Chris Evans Radio1 Breakfast Show ( 1995 – 1997 ). Off the wall humour and antics from Chris Evans at the peak of his creative powers, playing off his zoo of co presenters. Sadly the show was shortlived as Chris Evans became a total megalomaniac and alienated his Radio1 boss Matthew Bannister. 5) Pick Of The Pops Radio2 ( 1997 – Present ). The original retro music chart format show, with chart rundowns from corresponding weeks in previous years. It’s appeal has never dulled under it’s three custodians, Alan “Fluff” Freeman, Dale Winton and current host Tony Blackburn. As BBC celebrates “Golden Age Of The Album”, do you agree with this Top 5 Best Albums? A recreation of one of the most the most iconic albums in pop music history will be the centrepiece of “The Golden Age Of The Album”, a two week celebration of the phenomenon of the vinyl LP across BBC Four, Radio 2 and 6 Music. On the 50th anniversary of the recording of the Beatles’ album “Please Please Me”, leading musicians including The Stereophonics, Mick Hucknall and Gabrielle Aplin will attempt to match the achievement, in the same 12 hour timescale, in the same Abbey Road studio. The results will be broadcast live on BBC Radio 2 in exact order and timing on Monday 11th February and will be captured for a BBC Four special, “12 Hours To Please Me” on Friday 15th February. Stuart Maconie will host the 12 hour recording day from 10am to 10pm day, with Jo Whiley broadcasting her evening show from the Abbey Road. 50 years on, key personnel will tell the remarkable story of what happened that day with the Beatles, dispelling music industry myths and giving new insights. 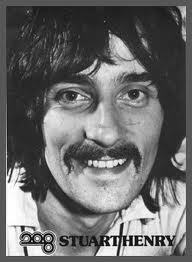 Studio engineer Richard Langham and Beatles press officer Tony Barrow are two such individuals who will be interviewed. “The Golden Age of the Album” season begins on Tuesday 5th February with Danny Baker hosting a three-part series on BBC Four: During the three episodes of “The Great Album Showdown”, Danny Baker will be joined by music experts to discuss the best albums in rock, pop and R&B. The panel will debate which are the best and most influential albums of each genre. Meanwhile on 6 Music, Steve Lamacq will be inviting listeners to re-create the covers of their most treasured album choice in Album Grand Redesigns, posting their artwork on 6 Music’s Facebook pages or tweeting them in to the show at @BBClamacqshow. Listeners’ contributions will be judged by former Designer of the Year, Mark Farrow and an overall winner crowned on Friday 8th February. 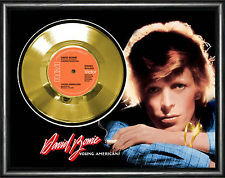 On BBC4 on Friday 8th February the documentary “Rocking All Over The World: The Golden Age Of The Album” explores the 1970s, the most important period for albums, when concepts and ideas were as important as melody and harmony. Which are your favourite albums? Let us know in the Reply Box below. This week heralds the 60th Anniversary of the birth of the weekly UK singles music chart. 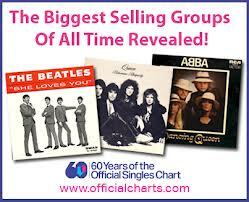 In those 60 years, according to the Official Chart Company, Britons have bought 3.7 billion singles. This amazingly equates to enough seven-inch vinyl records to stretch 16 times round the earth!! So it’s official the UK is a nation of pet and music lovers!! When I was a lad in the 1970s, the release of the weekly Radio 1 Chart on a Tuesday lunchtime was the highlight of the week. In those days, the vinyl record sales returns from the designated record shops from the previous week, would be processed by phone and hand on a Monday on behalf of Radio 1 by the British Market Research Bureau ( BRMB ). In the 1970s the new chart was unveiled on Radio 1 by Johnnie Walker ( and later Paul Burnett ) on a Tuesday lunchtime at 12-45pm after Newsbeat. It was a big deal in those days and for those that missed it, it was repeated on the Breakfast Show the following morning, when Noel Edmonds ( and later Dave Lee Travis / DLT ) ran down the new Top 30, playing the highest entries and highest climbers and the No1. There was a further rundown of the Top 30 at the start of Top of the Pops on BBC1 on a Thursday evening at 7-30pm. 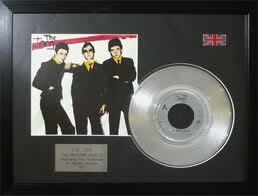 However the chart climax was always at 6pm on a Sunday on Radio 1 and Radio 2, with the Top 20 Chart Rundown. The combined audience was huge for the chart show presented by Tom Browne ( he of the silky, smooth James Mason-esque dulcet tones ), who somehow crammed all twenty songs into an hour. 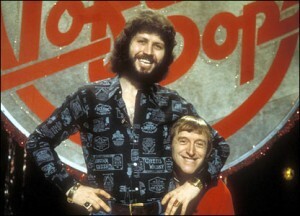 Originally the show ran for three hours as “Solid Gold Sixty” when it was launched in 1972. It later expanded to the Top 40 and a two hour show, under Tom Browne’s successor, Simon Bates who took over the helm in 1978. As a footnote, Tom Browne was not a Disc Jockey at all, but a trained actor. He was selected as presenter of the most listened to programme on Radio 1 in the 1970s, because of his excellent vocal delivery and ability to read a script with total slick!! What are your chart memories? What is your all time favourite single? Let us know in the Reply Box below. Framed vinyl records, framed CDs and framed DVDs with a personalised plaque, make unique presents or original gifts for a special celebration ie a Wedding ( Wedding First Dance Song ), an Engagement Party ( Our Song ), a House Warming Party ( New Home ), a 21st, 30th, 40th, 50th, 60th Birthday ( How about the No1 song on the day you were born ), a Silver, Ruby or Golden Wedding Anniversary, Father’s or Mother’s Day or Valentine’s Day!! THE PERFECT PERSONALISED PRESENT!! 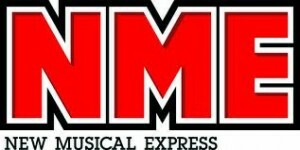 Two iconic music media brands……nay institutions……reach landmark anniversaries in March 2012, having survived against all the odds in recent years!! BBC 6 Music celebrates it’s 10th Birthday mid month, whilst NME ( New Musical Express ) will find 60 candles on it’s birthday cake in March. This achievement is all the sweeter for both BBC 6 Music and NME, who have recently been swimming against a tide of reduced funding and declining circulation and sales, respectively. BBC 6 Music was to be scrapped altogether a couple of years ago, until listeners successfully petitioned the BBC, whilst NME has been fighting for survival in the face of a digital tide that is fast eroding the cliff face of the print media!! Thankfully BBC 6 Music and NME are both here to enjoy well deserved landmark anniversaries – deserved because throughout their respective histories, they have created a niche and a loyal following because of their individualism and integrity in an increasingly homogenised and sanitised world……Or put another way, each is an oasis of individualism in an increasingly homogenised desert!! 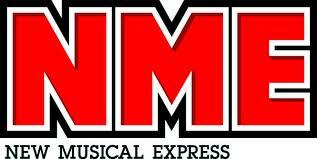 NME may have become more mainstream in recent times, but during the 1960s and 1970s in particular, it was a reasonably radical publication, carrying a torch for bands that were less commercial. Perhaps the music reporters who represented this radical culture best in the 1970s were Julie Birchill and Tony Parsons, supported by fellow revolutionaries Nick Kent and Charles Shaar Murray, who were big champions of the Punk / New Wave movement in the mid 1970s. So raise a glass in March to toast BBC 6 Music and NME’s well deserved anniversaries, and let’s hope they are both around in 10 years time to celebrate their 20th and 70th birthdays respectively!! 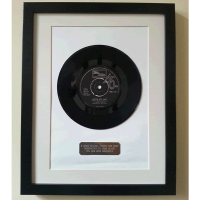 If you have friends or relatives who particularly love music and have a significant Birthday or a landmark Anniversary coming up ( ie a 30th, 40th, 50th, 60th, 70th Birthday OR a Silver, Ruby or Golden Wedding Anniversary ) – how about ordering their favourite vinyl record or CD; single, album or album cover; framed and mounted as a picture disc? It came as a real shock to hear that Jimmy Savile had departed this mortal coil, because I always thought that he was anything but mortal and would outlive us all. He seemed to be an omniscient presence in our Earthly lives, but fundamentally not of this world. And in that respect he came amongst us, but seemed to operate in another dimension of time and space, a bit like Doctor Who!! Like Doctor Who, Jimmy Savile was an eccentric, tinged with brilliance, operating in his own vacuum and sphere of influence, destined to do great altruistic work for the good of mankind, but not meant to walk amongst us. Jimmy Savile’s clown like appearance, antics and inane ramblings belied a high level of intelligence, endorsed by his membership of MENSA. You knew that there was an innate kindness and compassion there, supported by his insatiable thirst for charity work and yet in Louis Theroux’s documentary in 2000, “When Louis Met Jimmy”, he came across as prickly, cantankerous, hostile, cold and aloof. Essentially he chose to portray himself as someone who had little time for his fellow man on a day to day basis!! In the end, we have to conclude that Jimmy Savile, like many complex people, was full of contradictions and leave it at that. 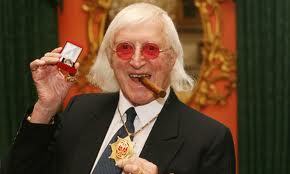 Like most of you, I will remember Sir Jimmy Savile for putting a smile on my face, whether it be through his regular appearances on a Thursday evening on BBC1 in the 1970s, as one of the hosts of “Top of the Pops”, or the fixer of childrens’ dreams on a Saturday evening on the BBC 1 institution that was “Jim’ll Fix It”. Like many, I sent him a letter, supported by a demo tape, to enquire as to whether he could “fix it” for me to do a guest spot as a DJ on Radio 1. In the event Jim couldn’t fix it – now whether this was beyond his powers I don’t know. More likely he wanted to spare Radio 1 listeners my amateurish broadcasting skills, but what impressed me was that the legendary Jimmy Savile sent me a personal handwritten letter acknowledging my request and apologising for not being able to fulfil my dreams!! It is safe to assume that every potential participant of “Jim’ll Fix It” also received a personal epistle and that was the stature of the man – nothing was too much trouble for him, when it came to helping others. Whatever his slightly odd foibles and idiosyncrasies, Sir Jimmy Savile richly deserved his knighthood and OBE for his unstinting, tireless work for charity that generated millions of pounds for good and great causes. However my favourite and abiding memories of Jimmy Savile was as a DJ on Radio 1, as the presenter of the Sunday lunchtime show “Jimmy Savile’s Old Record Club”, where he played top tens from years gone by. It was the first radio show to feature old charts, something later adopted by Alan Freeman and Radio 2 in the 1980s, when Pick of the Pops was resurrected as a retro chart show. 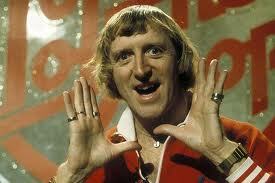 However the retro chart genre began with Jimmy Savile in 1973 as “The Double Top Ten Show”. 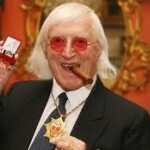 MyFirstRecord.co.uk will donate 25% of the proceeds to one of Jimmy Savile’s favourite charities between now and Christmas. Alternatively this would make a unique present or original gift for a special celebration ie a Wedding, 40th, 50th, 60th or 70th Birthday, a Silver, Ruby or Golden Wedding Anniversary, Father’s or Mother’s Day or Valentine’s Day!! THE PERFECT PERSONALISED PRESENT!! Do you remember cosy nights spent in bed with “Big L” aka Radio Luxembourg?!! For my generation of forty somethings, we were too young to have shared and experienced the magic of the broadcasters on the high seas in the 1960s ie the pirate radio stations like Radio Caroline and Radio London. When they were outlawed and closed down by the government in 1967, they were replaced by the establishment with BBC Radio 1. Many of the disc jockeys that had stowed away on the pirate radio ships found themselves walking the plank, only to be swept ashore, landing at Broadcasting House in late Summer 1967. 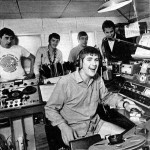 The Roll of Honourable Radio DJs making this transition and journey included Tony Blackburn, Emperor Rosko, Dave Lee Travis and Johnnie Walker. By the time I started listening to Radio 1 in 1974, these disc jockeys were household names and housewives’ choices. You can’t underestimate the status of the Radio 1 DJs in the 1970s – they had a parity with the Rock and Pop Stars, who’s vinyl records they played. In terms of status and fame, they were the equivalent of modern day footballers in 2011!! There was one small problem. In a world where shops and offices closed at 5pm or 5-30pm on the dot, Radio 1 closed down at 7pm. The radio station literally broadcast during the hours of the working day and commuting time – 7am to 7pm. And of course this was in the days of local commercial radio’s infancy with a mere four or five stations in only the biggest cities – Capital Radio ( London ), BRMB ( Birmingham ), Piccadilly ( Manchester ) and Radio City ( Liverpool ). However there was one very distant pop music radio station that broadcast nationally in the evenings and it was infact a sole surviving pirate radio station. So as the sun set over the yardarm, metaphorically speaking as it was a land based pirate radio station, Radio Luxembourg ( Fab 208 ) crackled in to life!! And it literally did “crackle” in to life, as it was broadcasting on a medium wave frequency ( 208MW ) from the far flung Grand Duchy of Luxembourg. The reception was appalling, drifting in and out and merging with interference from other European radio stations…..but we tolerated it because it was the only source of pop music on the radio between the hours of 7pm and 4am. The listener also tolerated the poor reception because Radio Luxembourg was a fantastic radio station that fused the best of English and American style broadcasting. Some of the disc jockeys were infact American like Bob Stewart and others like Yorkshire bred Tony Prince and Scot Stuart Henry had a mid Atlantic sound and feel about them. 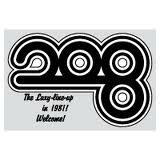 And this was reinforced by the American-esque station brand idents and jingles like “208 – Your station of the stars”, “Big L” and “Fab 208”. There was a real magic and romanticism about Radio Luxembourg, which was heightened by the myth that the radio station was housed in a turret in a gothic castle in the Grand Duchy of Luxembourg!! This romanticism and magic was further accentuated and enhanced by the fact that much of the time you would be listening under the bed clothes ( in the days before the duvet ) in the dark. Listening to radio in the dark intensifies what is already a very intimate medium!! If many of the original Radio 1 disc jockeys graduated from the pirate radio stations in the North Sea, just off the South East coast of England, then in the late 1960s and 1970s, Radio Luxembourg became the feeder school for Radio 1 DJs. 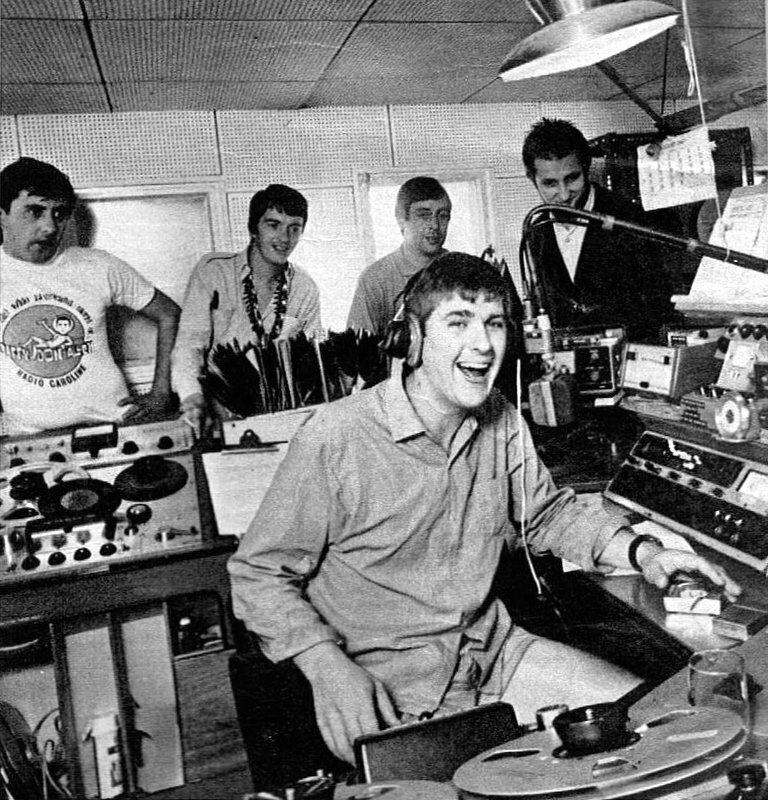 Between 1968 and 1979 “Big L” saw many of it’s presenter personnel move to Radio 1 – Tony Brandon, Paul Burnett, Dave Cash, Simon Dee, Noel Edmonds, Stuart Grundy, Tommy Vance, Peter Powell, Steve Wright, Mike Read, Emperor Rosko and David “Kid” Jensen. There were three notable exceptions to this rule – the very capable and talented Tony Prince, Bob Stewart and Rob Jones. The latter was one of my favourite Radio Luxembourg DJs in the late 1970s and such was his talent, I believed he was destined to follow in the footsteps of Mike Read and Steve Wright up the steps of Broadcasting House and through those iconic latticed Art Deco doors!! However Rob Jones never reached the hallowed airwaves of Radio 1 and if anyone knows of his whereabouts, please enlighten us all. Radio Luxembourg is long gone and part of a different time dimension and world……In 2011 the corporate call centre offices are manned from 8am to 8pm, supermarkets open 24 hours a day and on Bank Holidays and the marketplace is saturated by satellite radio stations broadcasting 24 hour a day…….. but don’t tell me there is the same magic and romance in modern day radio that my old friend Big L provided me with between 1974 and 1979!! Alternatively this would make a unique present or original gift for a special celebration ie a Wedding, 40th, 50th or 60th Birthday, a Silver or Ruby Wedding Anniversary, Father’s or Mother’s Day or Valentine’s Day!! THE PERFECT PERSONALISED PRESENT!! 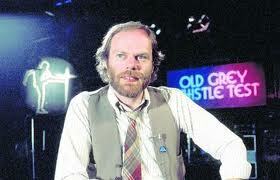 Bob Harris & The Old Grey Whistle Test are to return, but this time on radio!! In the 1970s and 1980s, The Old Grey Whistle Test was Top of the Pops for grown ups and those with a more sophisticated, discerning musical palate. The good news is that it is to return for a limited period. The bad news is that it will be on radio!! The 16 part series will run from August on Radio 2 in celebration of the 40th anniversary of the programme’s inception. Elton John and Robert Plant will help commemorate the 40th anniversary of The Old Grey Whistle Test. Paul Weller, Roger Daltrey, Mark Knopfler, Yusuf Islam ( Cat Stevens ), Emmylou Harris and Simple Minds are among the other artists who will appear. In the 1970s and 1980s, The Old Grey Whistle Test was instrumental in launching the UK careers of overseas artists such as Bob Marley, Bruce Springsteen and Steely Dan, and gave British artists such as David Bowie their first national exposure. The programme’s format differed from the mainstream Top of the Pops in that it permitted artists to perform whatever they wanted, and was more album track orientated rather than focussing on the charts and single releases like it’s BBC1 cousin. In the BFI’s list of the 100 Greatest British Television Programmes in 2000, The Old Grey Whistle Test came 33rd, a not inconsiderable achievement bearing in mind its primary focus on album tracks. 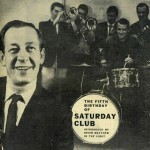 Although in later years it was presented by Annie Nightingale, Mark Ellen and David Hepworth, the era that is best remembered is the Bob Harris years, parodied so perfectly by John Thomson’s Jazz Club presenter Louis Balfour on BBC2’s The Fast Show. Having avidly watched the BBC3 re-runs of Top of the Pops from 1976 on Thursday nights since April, I can imagine that in 1976 The Old Grey Whistle Test was a sane release from the insanity and dire mire that was the chart music scene in that year!! On the basis that Top of the Pops has made a return, would it not make sense to re-run old episodes of The Old Grey Whistle Test?!! After all the BBC’s remit is all about presenting a balanced diet when it comes to programming!! But what do you think? Should it return on BBC Radio 2 or should the original series be re-run on television on BBC3 or BBC4 in tandem with the “vintage” Top of the Pops programmes from 1976? Let us know in the Reply Box below…..
Alternatively this would make a unique present or original gift for a special celebration ie a Wedding present, 40th, 50th or 60th Birthday, a Silver or Ruby Wedding Anniversary, Father’s or Mother’s Day or Valentine’s Day!! THE PERFECT PERSONALISED PRESENT!! The Hairy Cornflake aka Dave Lee Travis emerges from Burmese Jungle!! In recent times in Blog articles on Record Press, we have been trying to identify the location of former Radio 1 disc jockeys from the 1970s and 1980s. Most of them have been tracked down to secure institutions like Radio 2 and Smooth Radio, where they are held under strict security, so that they are no longer a threat and menace to society!! For decades prior to their incarceration, the contrived wackiness and madcap escapades and antics of the likes of Tony Blackburn, David Hamilton, Jimmy Saville and Gary Davies threatened the very fabric of our society; as these miscreants were allowed to run amok unchecked by the BBC!! However they have all been under lock and key for at least the last decade – all bar one!! Until recently there was one notable “convict of cheese” and “corny, flakey fugitive” still on the run, but thankfully he has now been located. 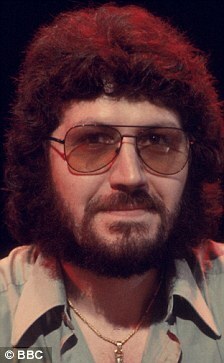 This convict operates under various aliases and pseudonyms in his attempt to avoid capture by the Taste Police – DLT, aka Hairy Cornflake or just plain Mr Dave Lee Travis has been spotted in the Burmese Jungle, when it was revealed recently that he was the favourite listening choice of Burmese pro-democracy leader Aung San Suu Kyi during her 15 years of house arrest. In an interview with the Radio Times, Miss Suu Kyi said that the former Radio 1 DJ’s World Service programme, A Jolly Good Show “made her world ‘much more complete’ during the long years of confinement”. Well there is no accounting for taste, but I guess if you are imprisoned, your choices are fairly limited!! Apparently Miss Suu Kyi, 66, found much comfort in DLT’s friendly and cheerful request show, which linked up families and friends from all over the globe. Clearly she had been totally brainwashed by either her Burmese captors, or worse Dave Lee Travis!! The good news for all those Radio 1 listeners traumatised for 20 years by Dave Lee Travis’ inane ramblings, bloated ego, self regarding pomposity and innate arrogance, is that in effect he too is now under house arrest!! Although still allowed to broadcast for Magic Radio to pockets of the UK, he now broadcasts each weekend from the confines of his home studio in Berkshire. Many will be relieved to know that he can no longer inflict further damage on a national scale – there is a restraining order and injunction preventing him from going within a mile of any national radio or TV station!! So the good news is that there is no immediate danger of the majority of radio listeners being subjected to “The Hairy Cornflake”, “Snooker on the Radio” or similar banal quizzes. Or indeed the contrived drivel, buffoonery and wackiness epitomised by Dave Lee Travis’ 1976 single, Convoy GB, which he recorded with fellow Radio 1 DJ Paul Burnett, under the name Laurie Lingo and the Dipsticks. That rather neatly brings me on to Paul Burnett – now there was a disc jockey with an above average intelligence, and a very smart, dry wit. Does anybody know of his whereabouts, because he would be worth locating and installing back on national radio!! Radio 2 DJs confess to some pretty embarrassing first vinyl records!! As part of the celebration and promotion for Radio 2 “2Day” last Wednesday, when the radio station crammed all it’s shows and presenters into a cosy, twelve hour schedule, Radio Times interviewed each DJ. They were asked either which was their first vinyl record or which was their favourite vinyl record. As you might expect, he answers were as varied and eclectic as the personalities of the presenters and the diversity of the shows they present!! 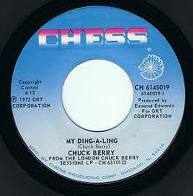 Radio 2 Breakfast Show presenter, Chris Evans, was first out of the blocks admitting that the first record he bought was Chuck Berry’s 1972 novelty No1 “My Ding-a-Ling”. Many of us are haunted by an embarrassing first record, and the ginger haired one is no different!! Jeremy Vine also falls into that Well of Embarrassment, with Billy Howard’s spoof hit “King of the Cops”. Meanwhile the King of Kool, Dermot O’Leary announced that “I Can’t Wait” by Nu Shooz was the first record he bought from WH Smiths. At least Zoe Ball had an excuse as her first record was bought for her by her Mum – the Sesame Street album. Ken Bruce and Bob Harris avoided the pitfall of a dubious first record by electing to opt for a favourite song that “brings a tear to the eye”. Ken Bruce selected the sublime “I Put a Spell on You” by Nina Simone whilst Bob Harris favoured Ben E King’s classic tune “Stand by Me”. Radio 2 legend and institution Terry Wogan volunteered that Elvis Presley’s “Heartbreak Hotel” was the record that awakened him musically, which would be very much in keeping with his generation. My Mum who is also 71 like Sir Terry, also says that that record revolutionised her life as it produced a seismic shift in the direction of music in the late 1950s. Meanwhile her son can relate to Jo Whiley’s first record, “Ballroom Blitz” by The Sweet. 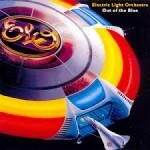 Although this technically wasn’t my first record, it was the one that launched my lifelong interest in music!! Simon Mayo’s first album was the stylish and incomparable Simon & Garfunkel’s “Bridge over Troubled Water”, whilst ignominy will forever haunt Claudia Winkleman who’s first single was “The Lion Sleeps Tonight” by Tight Fit!! Trevor Nelson, who dual presented an hour long Soul Show on “2Day” with Soul fanatic Tony Blackburn, escaped embarrassment when he confessed to his first record being Earth Wind and Fire’s soul / disco hit “Fantasy”. Tony Blackburn countered by admitting that his favourite song of all time was “I’m Still Waiting” by Diana Ross, which apparently he persuaded Tamla Motown to release as a single – a decision artist and record label would not have regretted as it became her first No1 in the UK!! What is particularly gratifying is that so many of these legendary Radio 2 presenters and so called arbiters of taste, are eternally locked into an embarassing song as their first record. I say that as I am not alone when I confess that my first record was somewhat embarrassing – Rubettes’ “Sugar Baby Love”, although to this day it is still a guilty pleasure!! I still understand why I was moved by the incredible falsetto vocals of lead singer Paul Da Vinci ( not to be confused with Renaissance artist Leonardo Da Vinci!! ). The same can be said for my first album which was “The Best of the Stylistics”, a group also famed for their high pitched falsetto vocals. What that says about my attraction to eunuchs is another matter!! Alternatively this would make a unique present or original gift for a special celebration ie a Wedding present, 30th, 40th, 50th, 60th or 70th Birthday, a Silver, Ruby or Golden Wedding Anniversary, Father’s or Mother’s Day or Valentine’s Day!! THE PERFECT PERSONALISED PRESENT!! BBC Radio 2 has commissioned UBC Media to produce its Saturday morning breakfast show, Sounds of the 60s, bringing the curtain down on 27 years of in-house production by the BBC. UBC Media, which supplies multimedia content to the BBC and 250 commercial stations, secured the two-year contract to produce Sounds of the 60s, which has become something of an institution, since it’s original broadcast in 1983, when it was presented by Ready Steady Go!’s first host Keith Fordyce. 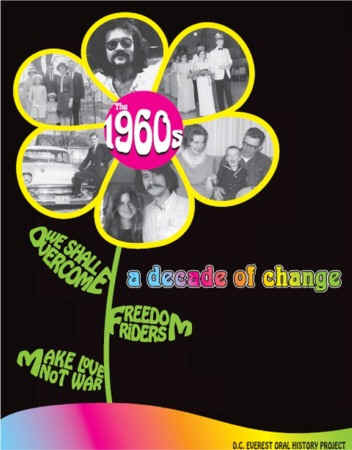 Sounds of the 60s is a slightly quaint show, but none the worse for it, that captures the essence of the 1960s. It is like an on air vinyl record and music memorabilia curiosity shop, run by a kindly, benign gentleman by the name of Brian Matthew. The shop may be under new management, but it will most definitely be business as usual!! Sounds of the 60s really is like perusing an old record shop, because amongst the old vinyl classical 1960s hits, you discover rarities that you have either forgotten or never been acquainted with. 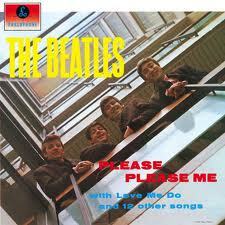 But it’s not just seven inch singles, but rare EP and LP tracks as well. Between the playing of the tracks, the venerable broadcaster Brian Matthew imparts his wisdom and knowledge in a gentle way, whether it be the stories and anecdotes behind the songs, or some quirky fact about the artist. From time to time Brian Matthew will dig out some old fusty taped interview with a 1960s performer or record industry impressario, from the bowels of the shop aka Broadcasting House. These just merely serve to put the music into the proper context of the decade of the Swinging Sixties. Trained as an actor at RADA, Brian Matthew is a broadcasting institution and legend, having commenced his career in the days of the BBC Light Programme, hosting Saturday Club in 1957 which changed it’s name to Easy Beat in 1960. 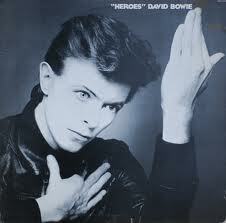 At the time, there was little pop music played on BBC Radio and the shows attracted audiences into the millions. For this reason most of the big stars of the time, including The Beatles, appeared on the shows. The influence and popularity of Easy Beat declined due to the rise of the offshore pirate radio stations that came in existence from 1964 onwards. When BBC Radio 1 launched to replace the outlawed pirate radio stations in 1967, Easy Beat was axed, and Saturday Club was taken over by another presenter, Keith Skues (formerly of the pirate station Radio London), before it was also axed in 1969. 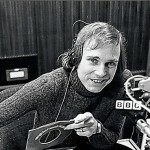 In 1973 Brian Matthew presented a new radio series entitled My Top 12, which ran for an hour on weekend afternoons on Radio 1 and Radio 2 simultaneously. My Top 12 could be considered BBC Radio 1’s equivalent to Radio 4’s Desert Island Discs. The programme was later presented by ‘Whispering’ Bob Harris and Noel Edmonds. Guests in 1974 included Rod Stewart, Joni Mitchell and Neil Diamond. Since April 1990 Brian Matthew has hosted Sounds of the 60s and frankly Saturday breakfast time would not be the same without him – he is as traditional as the weekend breakfast of bacon and eggs and toast and marmalade!! Alternatively this would make a unique present or original gift for a special celebration ie a 50th, 60th or 70th Birthday, a Silver, Ruby or Golden Wedding Anniversary, Father’s or Mother’s Day or Valentine’s Day!! THE PERFECT PERSONALISED PRESENT!! 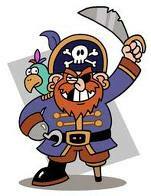 I was a Pirate long before Johnny Depp sailed out on the High Seas!!….. Johnny Depp may have made being a pirate fashionable and glamorous with his “Pirates of the Caribbean” film franchise, but I was out there as a pirate sailing the seven seas decades before!! My trusty pirate ship was my Decca Radio Cassette Recorder and the unchartered waters and seas that I traversed were 1970s radio!! From the moment my first pirate ship came out of dry dock at the Comet Electrical Warehouse for my 12th birthday in October 1974, I was launched on to the slippery slope into music piracy!! 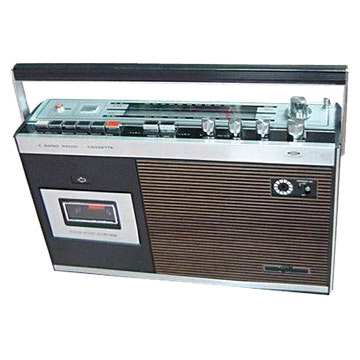 That Decca Radio Cassette Recorder and I had so many musical journeys and adventures, before she was scrapped at some point in the 1990s……but before that day, she was the vehicle that technically made me a criminal for illegally recording music off the radio. Although the law was somewhat ambiguous, and unenforceable, it was nevertheless still deemed a criminal act to record music from the radio, as it undermined the music performers rights ( ie song copyright laws that are policed by the Performers Rights Society / PRS for Music )!! My two scenes of crime were Radio One and Radio Luxembourg, although such was the poor reception with the latter, recording wasn’t really an option. 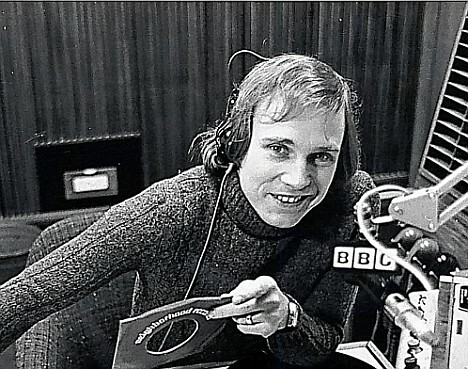 Therefore the main crime scene in the mid to late 1970s was Radio One on a Sunday at 6pm , when Tom Browne presented the Top 20 chart rundown, heralded by the “rocket launch” jingle. As a teenager, weekly pocket money wouldn’t stretch much beyond a comic, crisps and a sherbet fountain or gob stopper……therefore buying all your favourite vinyl singles wasn’t an option. Sitting down for an hour and recording your favourite songs on a Sunday evening in the company of Tom Browne and the Top 20 chart rundown was the next best thing!! Of course the vehicle that made it all possible in conjunction with the radio cassette recorder was the humble cassette tape, which was the original mp3 download vehicle!! 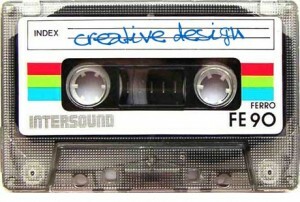 The cassette tape didn’t have the tactile beauty and personality of the seven inch vinyl single, but you could record up to 30 of your favourite songs on the C90 format cassette ( duration 90 minutes / 45 mins per side ). 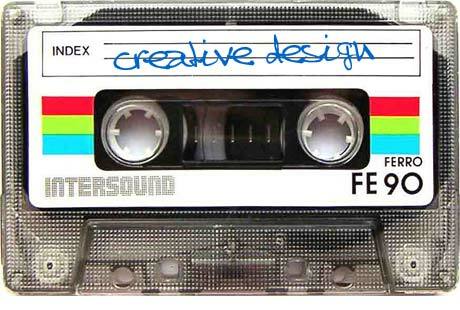 The C90 was the best option, as with the C120 there was a tendency for the tape to get tangled up, before ultimately snapping in the cassette tape machine!! Many a time I would be sitting cross legged on my bedroom floor surrounded by masses of twisted and tangled “brown spaghetti”, desperately trying to unravel it in order to save my favourite songs. If the tape snapped, splicing and repairing it with nail scissors and sellotape was a fiddly, frustrating job!! My days of a being a radio pirate ended at some point in the late 1980s……..well almost…….sometimes I can still be found donning my pirate’s hat and cutlass on a Saturday afternoon for Tony Blackburn’s retro Top 20 Rundown on Radio 2’s “Pick of the Pops” or on a Sunday evening for David “Kid” Jensen’s “Double Top 20 Show” on Smooth Radio!! Alternatively this would make a unique present or original gift for a special celebration ie a 40th, 50th or 60th Birthday, a Silver, Ruby or Golden Wedding Anniversary, Father’s or Mother’s Day or Valentine’s Day!! THE PERFECT PERSONALISED PRESENT!! 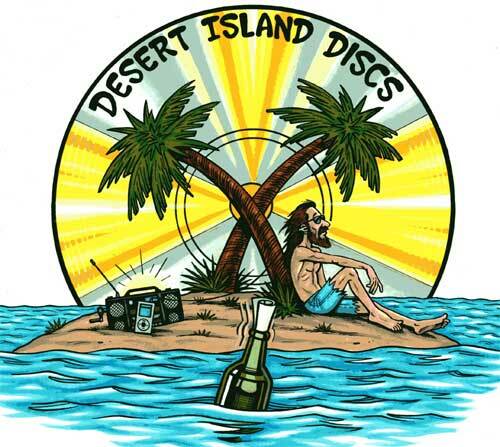 Public invited to become celebrity castaways on Desert Island Discs!! The radio listening public are being invited to become “celebrity castaways” and submit their eight musical choices on the Desert Island Discs page of the Radio 4 website – anyone who is interested in partaking, has up until 2pm on Friday 3rd June. A special 90-minute programme, “Your Desert Island Discs”, will then air at 9am on 11th June on Radio 4. The programme will unveil some of the selections made by the public and compare and contrast them with the choices of previous famous castaways. Famous castaways have included Tony Blair, Noel Coward, John Cleese, Colin Firth, Stephen Hawking and Paul McCartney. The most popular piece of music selected over the years has been Beethoven’s ‘Symphony No. 9 in D Minor’, picked by 97 castaways. The top eight most popular music choices have been classical, while the eight favourite artists are also classical composers. The most popular non-classical discs include Edith Piaf’s ‘Non, Je Ne Regrette Rien’, Frank Sinatra’s ‘My Way’ and Noel Coward’s ‘Mad Dogs And Englishmen’. Desert Island Discs Presenter, Kirsty Young points out: “Every castaway is unique, but the one thing they all say to me is how difficult it is to choose their eight discs. Now the nation has a chance to share in the agony and ecstasy of making their very own selection”. As part of a celebration of Desert Island Discs, Kirsty Young will also present a special edition of BBC Radio 2’s “Friday Night Is Music Night”, “Desert Island Music Night”. The show, due to air at 8pm this Friday, will include interviews with former castaways, including some of their music choices. At the time I pondered my choice of eight songs, book and luxury item, and after much soul searching this was my selection…..
Beatles – “A Day in the Life”, Small Faces – “Tin Soldier”, Pink Floyd – “Time”, Genesis – “Snowbound”, Spencer Davis Group – “Gimme All your Loving”, Guns ‘n’ Roses – “November Rain”, Simple Minds – “Big Sleep”, and the Kinks “Waterloo Sunset”. My book would be Nick Hornby’s “High Fidelity”, or Peter Brown’s Beatles tome “The Love you Make”. My luxury item would be a bountiful and endless supply of Andrex toilet rolls!! How about creating an idyllic desert island scenario in your living room, with a couple of small palm trees and your favourite Desert Island Discs, framed and mounted, on the wall? Order now by clicking on…….. http://www.myfirstrecord.co.uk/ …….. and this way your favourite songs can act as constant reminder of an alternative life on a paradise island……..
Alternatively this would make a unique present or original gift for a special celebration ie a 40th, 50th, 60th or 70th Birthday, a Silver, Ruby or Golden Wedding Anniversary, Mother’s or Father’s Day or Valentine’s Day!! THE PERFECT PERSONALISED PRESENT!! 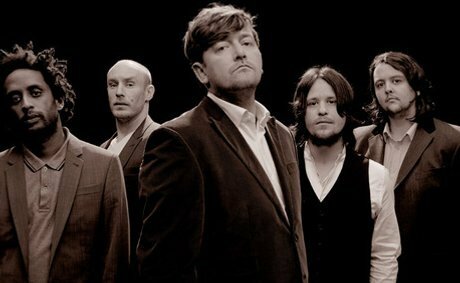 Absolute Radio has announced that there will be a cosy concert by the band Elbow in the crypt of St Paul’s Cathedral in the City of London, ahead of its summer of live music programming, ‘Absolute Radio Live’. You can assume that there will be only “elbow room” available, and fans in attendance will be restricted to a very exclusive VIP list!! The concert is part of a series of Absolute Radio events in unusual locations, including the first rock gig in The Houses of Parliament with Biffy Clyro, stopping the traffic in Regent Street for a performance from Madness and Elton John at the Union Chapel. The Elbow gig will take place on 26th May and will be broadcast on Absolute Radio on 5th June from 7pm to 8pm. The recording will be repeated on Absolute Radio’s digital station Absolute Radio 00s. It’s not just Absolute Radio who are seeking out wacky and weird locations for gigs this summer. Selfridges is partnering with NME to support Project Ocean, a campaign celebrating the beauty of the world’s seas and highlighting the issues surrounding overfishing. As part of this promotion, the department store has invited NME and music venue KOKO to stage a series of Club NME gigs in its Oxford Street store’s Ultralounge, which has been transformed into The Dive Bar in aid of Project Ocean. The free concerts will take place on Friday evenings at 6pm, kicking off tonight with Swedish new wavers The Sounds and followed by Camden’s Bones on 20th May, Spark on 27th May and Young Rebel Set on 3rd June. Of course this is not the first time that musicians have performed in bizarre locations. 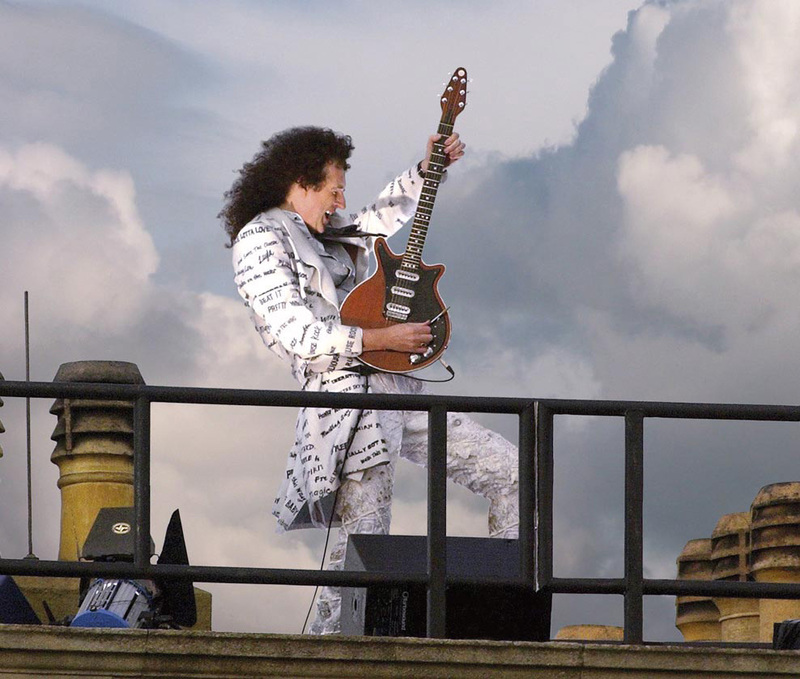 The Party at the Palace pop concert in 2002 to celebrate the Queen’s Golden Jubilee was launched with Queen’s Brian May performing “God Save the Queen” on the roof of Buckingham Palace!! This mimicked the original rooftop gig over thirty years earlier on the afternoon of 30th January 1969 when The Beatles surprised a central London office lunch crowd with an impromptu concert on the roof of their Savile Row Apple Records headquarters.The escapade was eventually cut short by the police who objected to the noise – obviously the “party poopers” were not fans of the Beatles!! 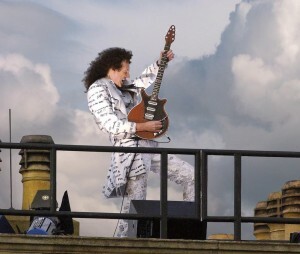 The group (with a little help from keyboardist Billy Preston) had managed to entertain Londoners on adjacent rooftops and the streets below with a run-through of songs they had been rehearsing with a vague album in mind. Their five-song set included “Don’t Let Me Down”, “I’ve Got a Feeling” and “Get Back”. 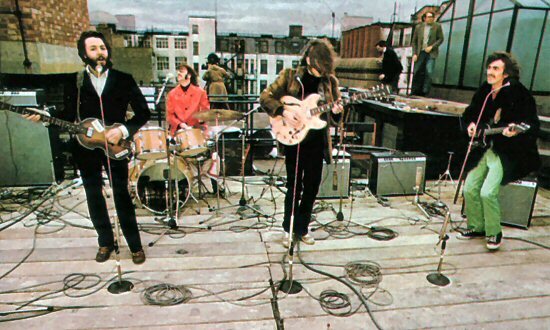 The rooftop gig had a particular significance and resonance as it was the first live concert since the Beatles stopped touring in 1965 and sadly was to be their last!! Alternatively you can buy a “Song Souvenir” for a family member, or friend……this would make a unique present or original gift for a special celebration ie a 40th, 50th, 60th or 70th Birthday, a Silver, Ruby or Golden Wedding Anniversary, Mother’s or Father’s Day or Valentine’s Day!! THE PERFECT PERSONALISED PRESENT!! Retro chart radio shows prove nostalgia is not a thing of the past!! A few weeks ago I wrote an article on this Record Press blog, highlighting the launch of Kid Jensen’s “Double Top Twenty Show” on Smooth Radio, as direct competition to Tony Blackburn’s “Pick of the Pops” on Radio Two. Now the “chart from this week in a particular year” radio show format is expanding to a clutch of BBC Local Radio stations, in the south west of the UK. The Vintage Top 40 Show has been airing on BBC Radio Devon and BBC Radio Jersey but will expand to six further areas from next weekend. It moves from Sundays to Saturdays 6-8pm from 14th May and adds BBC Radio stations in Cornwall, Guernsey, Bristol, Gloucestershire, Wiltshire and Somerset to the existing franchise. As with Radio 2’s Pick of the Pops and Smooth Radio’s Double Top 20, the show features two classic chart countdowns from this week in the past and is hosted by Shaun Tilley. It also has regular guest presenters including the likes of Mike Read, David Hamilton, Ed Stewart, Adrian John, Graham Dene, Pat Sharp and Adrian Juste…..This also fills in the blanks as to the whereabouts of some of the remaining Radio One DJ line up from the 1970s and 1980s – a question we posed in that original article, having accounted for Kid Jensen, Simon Bates and Andy Peebles on Smooth Radio and Johnnie Walker and Tony Blackburn on Radio Two!! Now we know former Radio One breakfast show presenter, Noel Edmonds, spends his afternoons gainfully employed as host of Channel 4’s “Deal or no Deal”. So that just leaves Dave Lee Travis aka DLT, Paul Burnett, Peter Powell, Gary Davies and Mike Smith to be located and accounted for!! But what is the appeal of the retro chart radio show, harnessed with a retro Radio One DJ? Hearing an old favourite song tends to evoke a single memory. Hearing a chart rundown in it’s entirety from a particular year, creates a context by which we conjure up memories of a whole spring, summer etc. Add the dulcet tones of a DJ / presenter from that era, and the listener is totally transported back to that year. I believe that the key to the growing success of these types of radio show is that he in times of austerity and economic hardship, we tend to romanticise the past, and take refuge in a time which provides us with a sense of well being and comfort. The period that is particularly in vogue currently is the 1970s, but the reality is that the decade was very similar to contemporary times with high unemployment and economic hardship!! 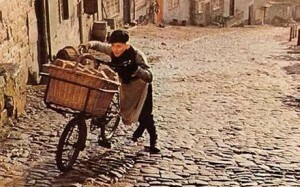 If you recall, nostalgia emanated from the Hovis TV commercials in the 1970s, as a baker’s boy clambered up the cobbled street, pushing his bread loaf laden bicycle, in an unidentified Victorian Yorkshire mill town. In real Victorian England, the baker’s boy was probably a street urchin, who returned to an orphanage after his fourteen hour shift at the bakery!! Victorian England seemed idyllic in comparison to the strike torn 1970s society; in the same way that we romanticise the kitsch 1970s from the perspective of the twenty first century. Forget the BBQ, how about a music festival in your garden this Summer? After the warmest April on record, by mid Summer we will all be blase and complacent about BBQ’s in the garden, with the BBQ season starting a month early this year. Just as well then that Absolute Radio have come up with an inventive and wacky alternative to the passe BBQ. Absolute Radio has signed a summer long sponsorship deal with Swiftcover.com that will offer listeners the opportunity to host a festival in their own garden!! The chosen listener’s festival will consist of a music headliner, a comedy feature, food stalls, security, a beer tent and other facilities. The theme of the campaign aims to communicate that spending less time sorting out home insurance gives you more time to “rock out”. 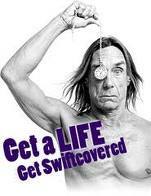 Swiftcover.com is sponsoring the Absolute Radio breakfast show for a six weeks, which began on 25th April. So who would be your headline act at the Festival in your garden? I guess it would have to be Savage Garden for me!! And who would be your preferred comedy act? How about Chris Rock-ery or Jimmy Carr-port or possibly Jasper Carrott in homage to your vegetable garden?!! Alternatively, if your garden is not big enough for a festival, or you have not got a garden, how about brightening up the interior of your house or flat? You can do this, by ordering your favourite vinyl record or CD, framed and mounted? 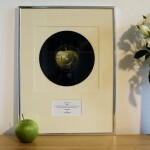 All you have to do is click on…….. http://www.myfirstrecord.co.uk/ …….. and this way you can bring your own festival and celebration of music into your living room in 2011!! Alternatively this would make a unique present and original gift for a special celebration ie a 40th, 50th or 60th Birthday, a Silver, Ruby or Golden Wedding Anniversary, Father’s or Mother’s Day or Valentine’s Day!! THE PERFECT PERSONALISED PRESENT! !